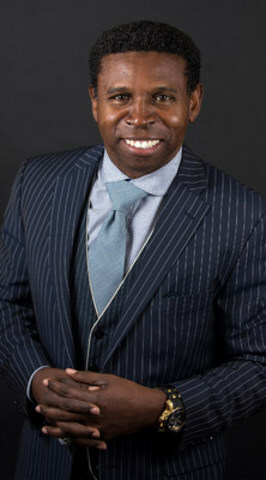 TORONTO, Nov. 12, 2015 /CNW/ – Today is World Pneumonia Day and retired Canadian Football League (CFL) player Michael “Pinball” Clemons has partnered with the Ontario Lung Association (OLA) to raise awareness of pneumococcal pneumonia. Michael knows the devastating impact of pneumonia as his grandmother passed away from the disease, when his mother was only five years old. November is #LungMonth, and he has made it his mission to bring attention to the disease and preventative measures to help Canadians reduce the risk and potential complications. Nobody likes to be grounded. #Grounded highlights the importance of prevention against pneumococcal pneumonia, and encourages Canadians to preserve and protect their golden years. Canadians are invited to participate and help raise awareness. For each view of the #Grounded video featuring Michael “Pinball” Clemons or share of the hashtag on social media – Facebook or Twitter – $5.00 will be donated to the OLA. 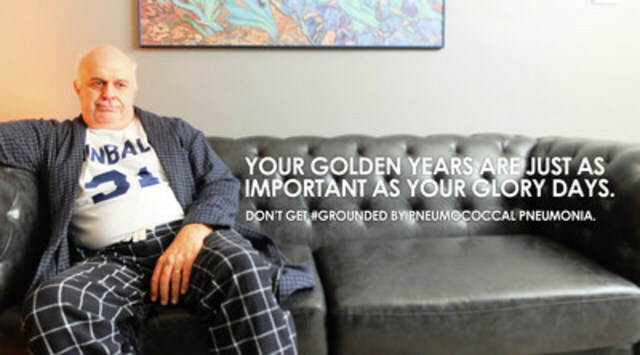 For more information about #Grounded and #LungMonth, visit the OLA website at www.on.lung.ca. 1 Ontario Burden of Infectious Disease Study. Institute for Clinical Evaluative Sciences Ontario Agency for Health Protection and Promotion. Accessed 10-08-2015. Available at:https://www.publichealthontario.ca/en/eRepository/ONBoID_ICES_Report_ma18.pdf. 2 Johnstone J, Eurich DT, Minhas JK, et al. Impact of the pneumococcal vaccine on long-term morbidity and mortality of adults at high risk for pneumonia. Clinical Infectious Diseases. 2010;51(1):15-22. 3 Ontario Burden of Infectious Disease Study. Institute for Clinical Evaluative Sciences Ontario Agency for Health Protection and Promotion. Accessed 10-08-2015. Available at:https://www.publichealthontario.ca/en/eRepository/ONBoID_ICES_Report_ma18.pdf. 4 Ontario Ministry of Health and Long-Term Care. Immunization: Pneumococcal Vaccine 2002. Accessed 10-08-2015. Available at:https://www.health.gov.on.ca/en/public/publications/immune/docs/pnem.pdf. 5 Sinha, Samir K. Living Longer, Living Well: Recommendations to Inform a Seniors Strategy for Ontario. 2012. Page 50. Accessed 10-21-2015. Available at:https://www.health.gov.on.ca/en/common/ministry/publications/reports/seniors_strategy/docs/seniors_strategy_report.pdf. 6 Functional Disability, Cognitive Impairment, and Depression Following Hospitalization for Pneumonia. American Journal of Medicine. 2013. Accessed 10-21-2015. Available at:https://www.ncbi.nlm.nih.gov/pmc/articles/PMC3690157/.